BI xPress increases developer productivity with features that reduce development time. With BI xPress, you never have to code the same functionality twice and can collaborate more efficiently with your team. BI Compare shows you the differences between two SSIS packages, SSRS reports, SSAS dimensions and cubes, and more (see a complete list of supported technologies here). You can compare entire server setups, compare files in your local file system to deployed items on servers, and drill down into each object to get a detailed view of each difference. 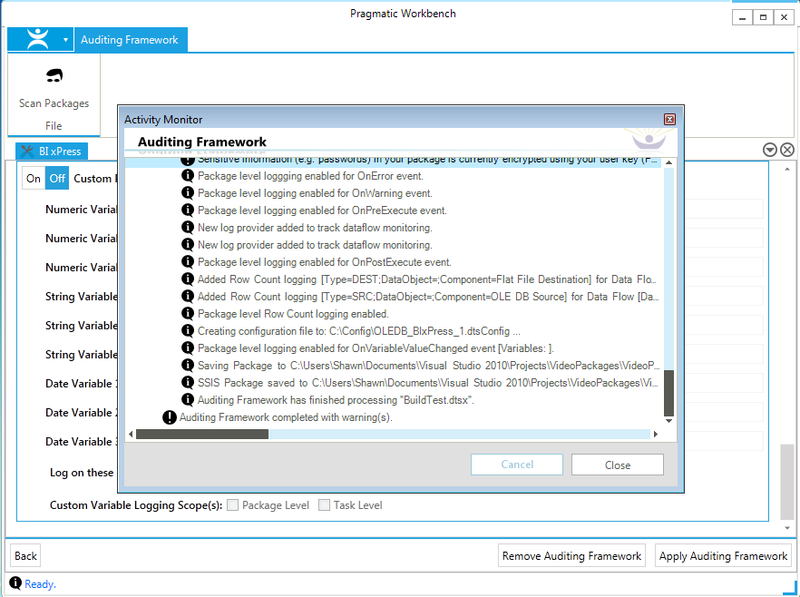 Auditing Framework Wizard works with the SSIS Monitoring Console to provide detailed logging and performance information about your SSIS packages. 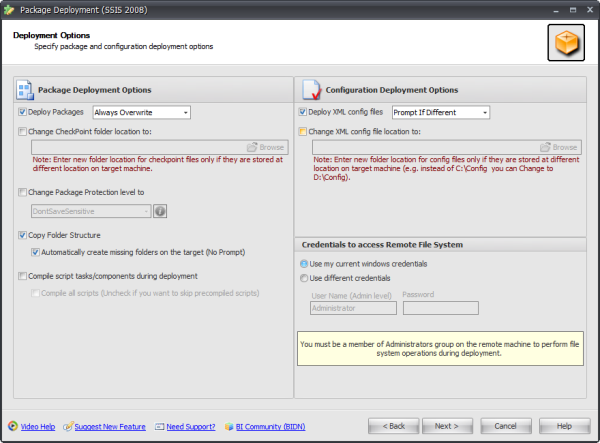 The wizard enables you to easily add, remove, or edit the auditing framework in your SSIS packages during development or after they’ve been deployed to the SSIS Catalog. You can use the wizard from inside Visual Studio while developing the packages, or separately if you are applying it after development is complete. 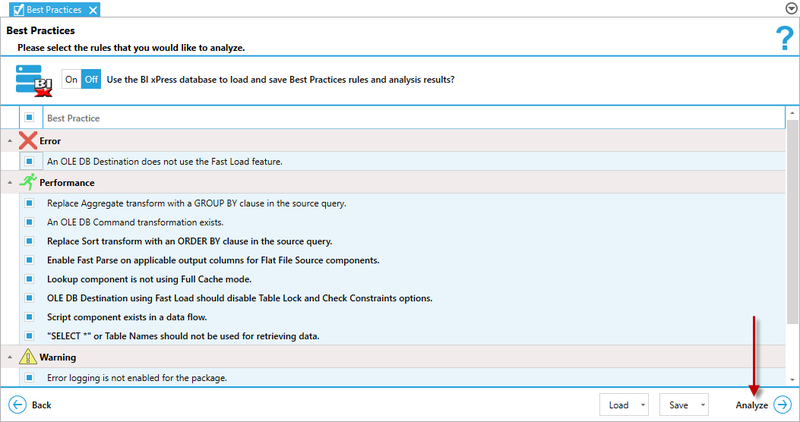 The audit framework leverages native SSIS components and all auditing is self-contained in the package. MDX Calculation Builder enables you to create complex MDX Calculations in a few clicks from the available MDX templates quickly with no manual coding. 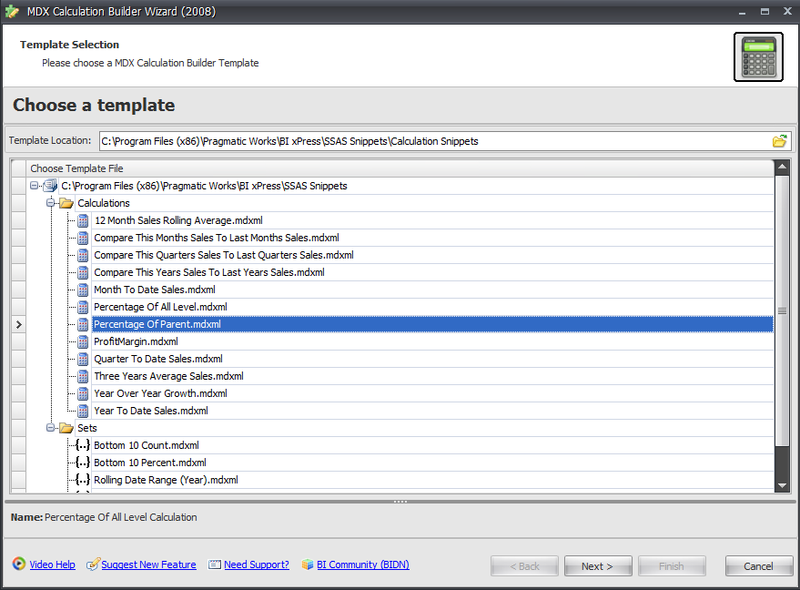 Using the templates, you can easily add dynamic time calculated members to your cube MDX calculation script. In addition, you can leverage powerful MDX date functions and time calculations such as MTD, YTD, ParallelPeriod, Avg and percent calculations. 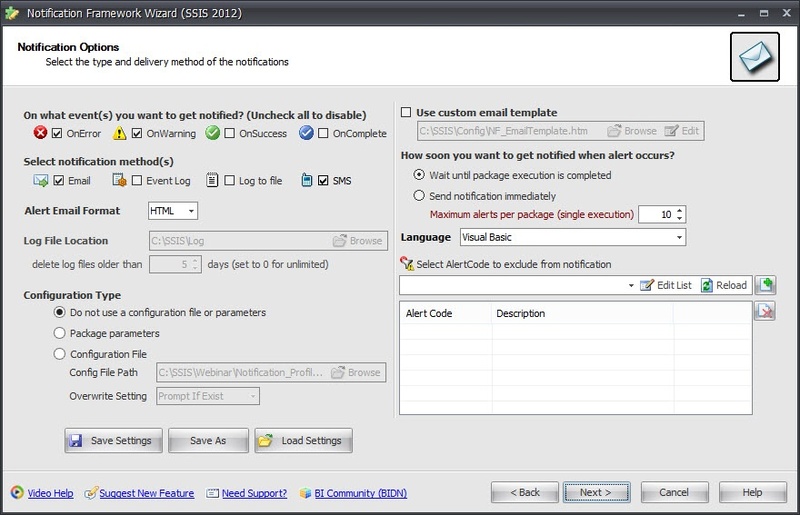 BI xPress includes several capabilities to make reusing SSIS functionality fast and easy. Package Builder is used to easily create packages and parts of packages from existing templates, so you can avoid repetitive development tasks. In addition, you can create new templates from existing packages or tasks. Snippets are pre-built and tested pieces of SSIS functionally that can be inserted into your existing packages, and include tasks like emailing, HTTP downloads, registry access and more. Data flow nuggets are reusable pieces of data flow functionality that you can insert into your data flows. Templates, snippets and nuggets can be shared with others in your organization, so that frequently used packages and tasks can be created in minutes. Best Practices Analyzer enables you to inspect your environment for adherence to best practices, including practices for performance, maintainability and stability. You can use a set of built-in best practices, or customize and extend them with your own rules. You can scan a variety of technologies for best practice violations, including SSIS, SSAS and SSRS (see a complete list of supported technologies here). 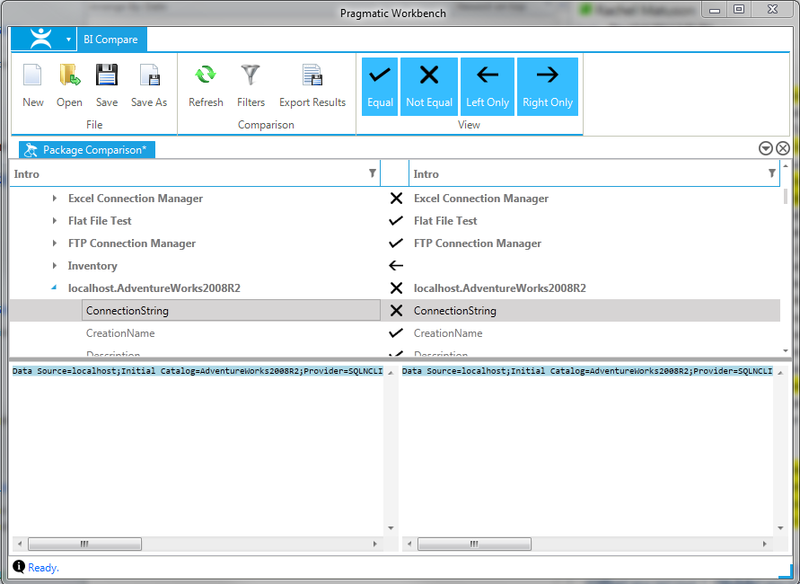 You can run the best Practices Analyzer from the command line, within Pragmatic Workbench or from inside your Visual Studio/SSDT project. Best Practices Analyzer stores the results of the analysis within the BI xPress database for later review, or you can output the results to XML. This enables you to see how your packages are improving over time, as well as integrate the results of the analysis into other processes. When working with packages in a 64-bit environment that were originally created in 32-bit environment, BIDS may give errors stating ‘Binary script not found’. To fix this manually, you must open and close each script. BI xPress allows you to automate this process and save time by compiling every script within a project. The Quick Deploy SSIS Package command allows you to deploy selected packages in one click using a list of predefined target locations. This enables you to quickly deploy to development and test environments quickly, while keeping you in the development environment. The Variable Copy/Move feature allows you to copy variables from one scope to another within the same or other packages with a single click. You can also move SSIS Variables from a limited scope (e.g. Data Flow) to a more global scope (e.g. Control Flow). Variable Dependency Scanner lets you easily determine where variables are used in your SSIS package. This allows you to delete or rename variables with confidence, knowing that they are not used in the package. 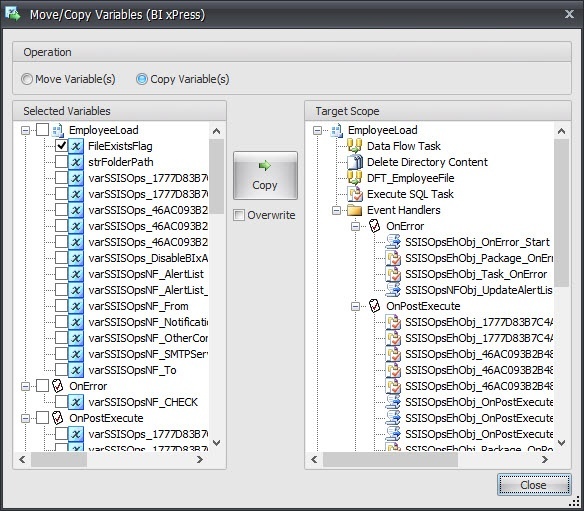 Note: Moving and copying variables is available with SSIS 2005 or 2008 packages only. 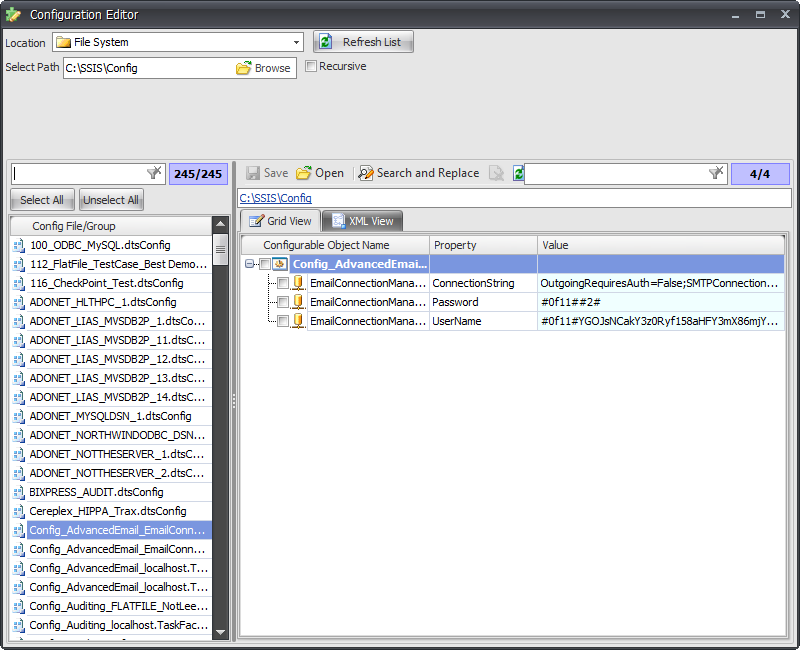 With Package Sorter, you can sort packages listed under the "SSIS Packages" node in the Solution Explorer. You can sort packages by name, size and date modified. This component makes finding packages easier in large projects. Expression Highlighter makes understanding packages easier by pointing out the connection managers and variables that evaluate expressions. It will also indicate which connection managers are using configuration files. The Expression List lists all objects with expressions along with object name, property name and expression. You can edit each expression by clicking the edit link. BI xPress has a custom Expression Editor, which has all of the features from the standard expression editor and a reusable expression snippet library (more than 25 snippets provided). In addition, it offers multi-line editing capability. The Expression Editor is also enabled for any variable that uses an expression to derive its value. You can add and edit new expressions to the pre-defined list using the Expression Manager. Note: This Expression Highlighter feature is available with SSIS 2005 or 2008 packages only.